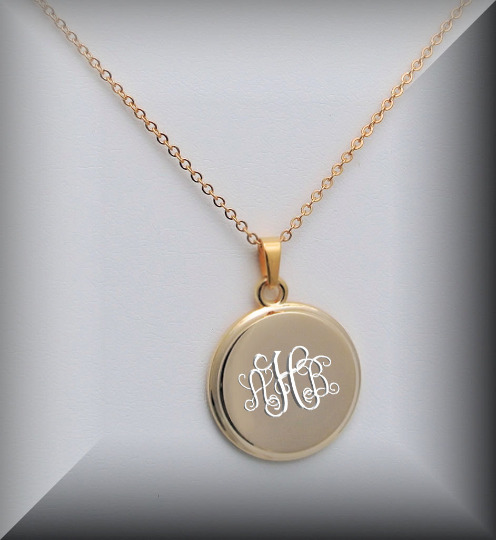 This engraved gold circle necklace makes a great personalized gift. 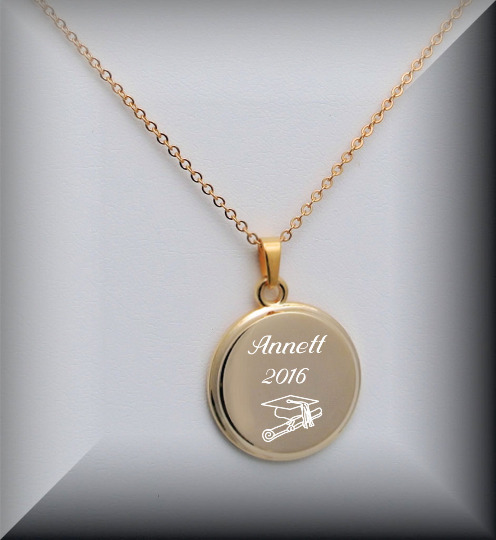 This engraved necklace can be personalized on both sides for that special someone. 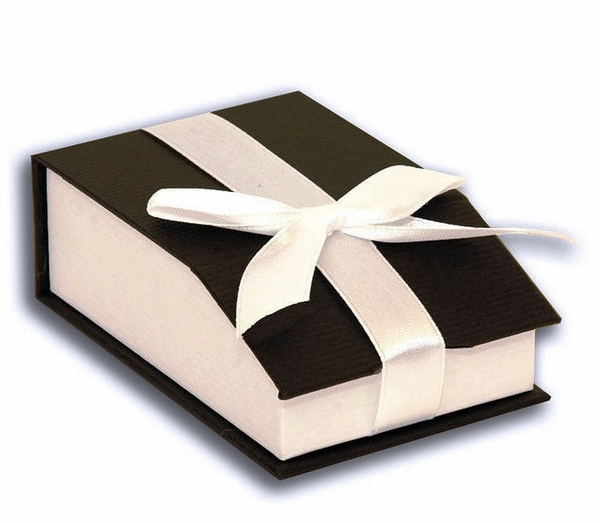 Add a custom engraving with a name, date, or initials.